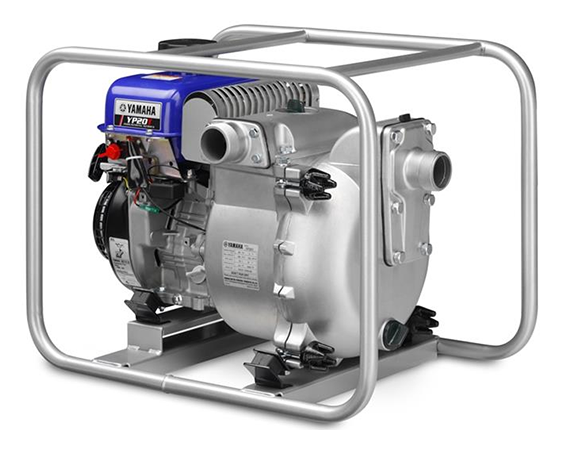 Can pump up to 184 gallons per minute and handle solids up to 0.79 inch. De-watering applications - Use for these types of de-watering applications: job site excavations, utility vaults, motocross tracks, mining sites, lakes and ponds and barge holds. 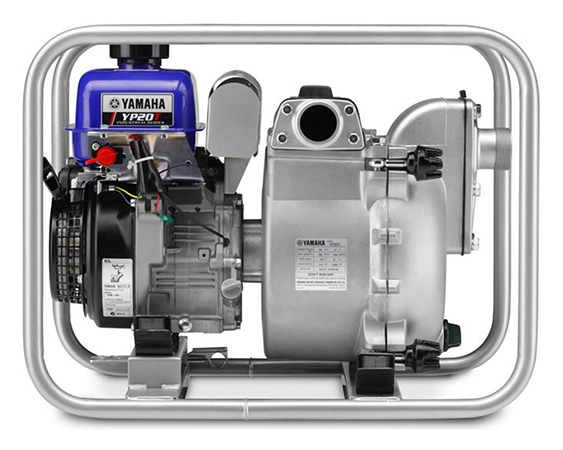 Powerful pump - Pumps up to 184 gal/min (11,040 gal/hr). Use for moving massive amounts of water. Cast iron cylinder lining has optimal heat dissipation - Cast iron cylinder lining has optimal heat dissipation. Automatic oil warning system shuts off engine before oil level is low - Prevents engine damage, avoids costly repairs, minimizes down time, enhances long term durability. Transistorized ignition provides lean, efficient spark - Maintenance-free and ensures fast, easy starting, reliable operation. Auto-decompression - Automatically “opens” exhaust valve to reduce compression for easier starting. EPA Emission Engine Life Rating - The YP20T meets the strictest environmental standards - EPA and CARB. Tool and strainer kit - Standard equipment. 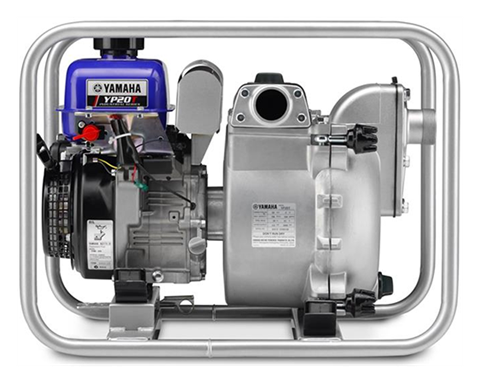 The YP20T uses a 175 cc, OHV 4-stroke engine that is quieter, more powerful, and consumes less fuel than comparable engines. 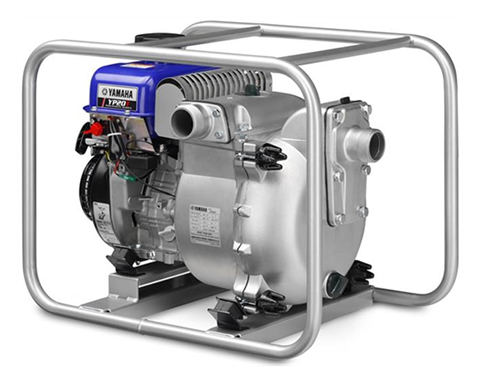 It has a powerful pump, pumping up to 184 gal/min (11,040 gal/hr) through a two-inch port. Delivers a 92-foot total head, with a 26-foot suction head. Can handle solids up to 0.79 in. (20 mm). Durable pump / impeller and volute case are cast iron for greater strength and durability; and they withstand wear from grit, sand, silt, etc. Outstanding seal durability. Newly adopted Japanese-made silicone carbide (SIC) seal - has better durability compared to conventional carbon ceramic seals. 2-inch Standard National Pipe Thread (NPT) fittings connect easily with the suction and discharge hoses. 100 sec. / 26.25 ft.